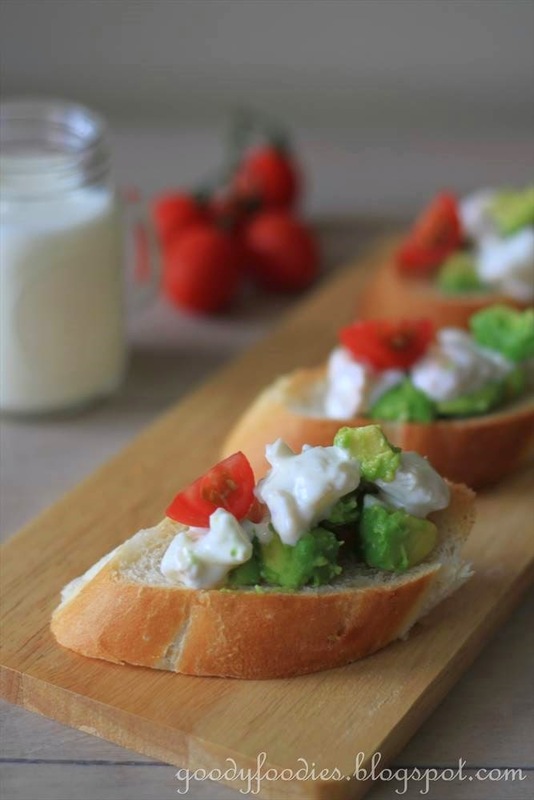 I was inspired to make these crostinis for lunch after seeing Gordon Ramsay's recipe for crayfish, avocado and mayo toasties in his cookbook "Fast Food". I had to make some adaptations to suit the ingredients I had in my kitchen - we can't get hold of crayfish easily here in KL, so I used slipper lobster instead. I also made crostini instead of toasties. Crostini is an Italian appetizer, similar to bruschetta consisting of a small sliced of toasted or grilled bread with toppings. 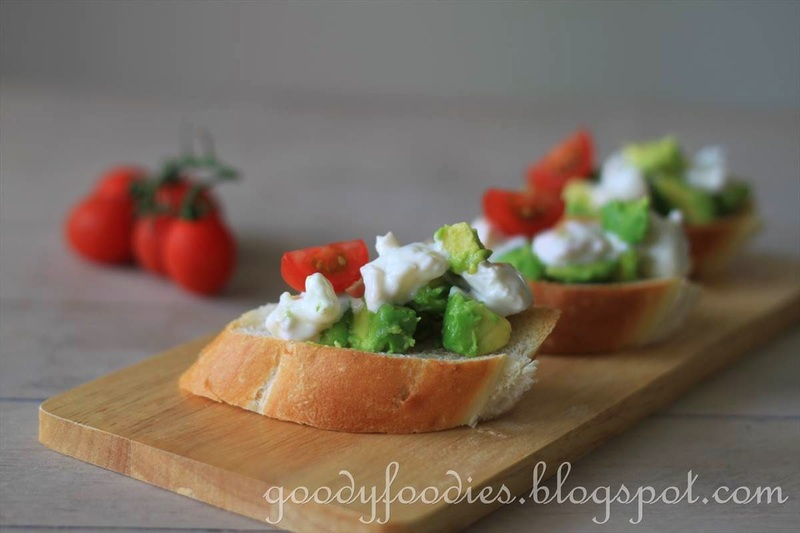 You can use baguette or any good quality rustic bread. I sliced the baguette and toasted it under a hot grill for a couple of minutes. 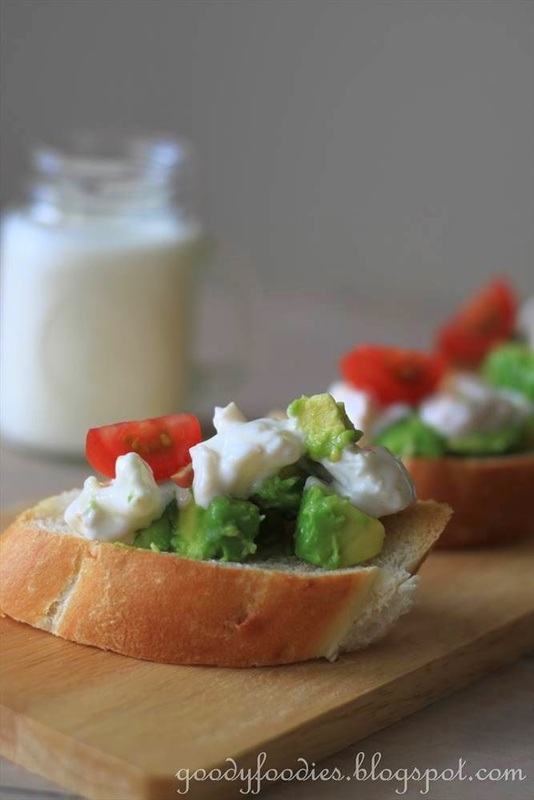 The crunchy baguette is then topped with creamy avocado and mayo slipper lobster. I also decided to add quartered cherry tomatoes for colour and it also enhances the overall taste. Lots of great textures and flavours in these little bites, certainly an enjoyable and quick to prepare meal. Great for a hot sunny afternoon. 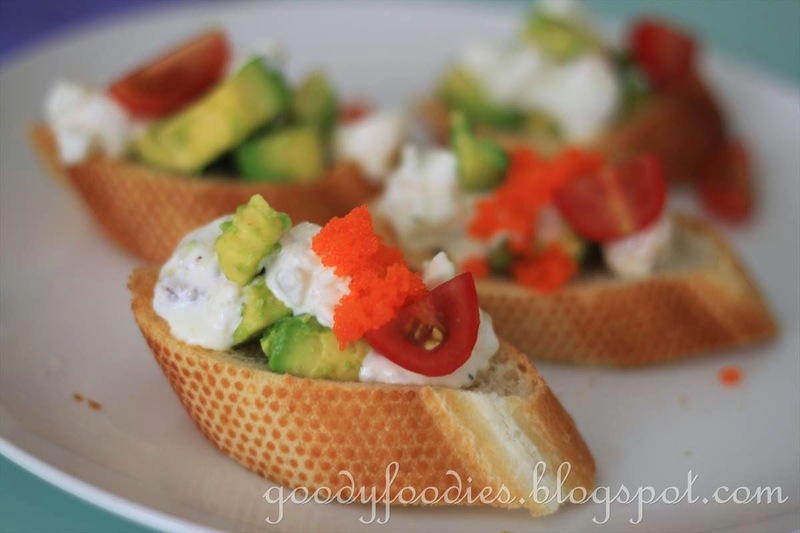 We had some ebikko in the fridge, so topped it on some of the crostinis - I really liked it! 1. Bring a pot of water to the boil. Once boiling, lower to medium heat then add the slipper lobster and cook for about 1 minute, until cooked through. Remove from pot and plunge into a bowl of ice water for about 2 minutes. Once cooled, drain and chop the slipper lobster into bite-sized chunks. 2. Place slipper lobster in a bowl and add mayo and truffle oil. Season with salt and pepper and mix well. 3. To pit the avocado, first you need to find the stalk and remove it. Hold it horizontally, with a knife through the centre until you hit the seed then move the knife in a circular motion until you go all the away around. 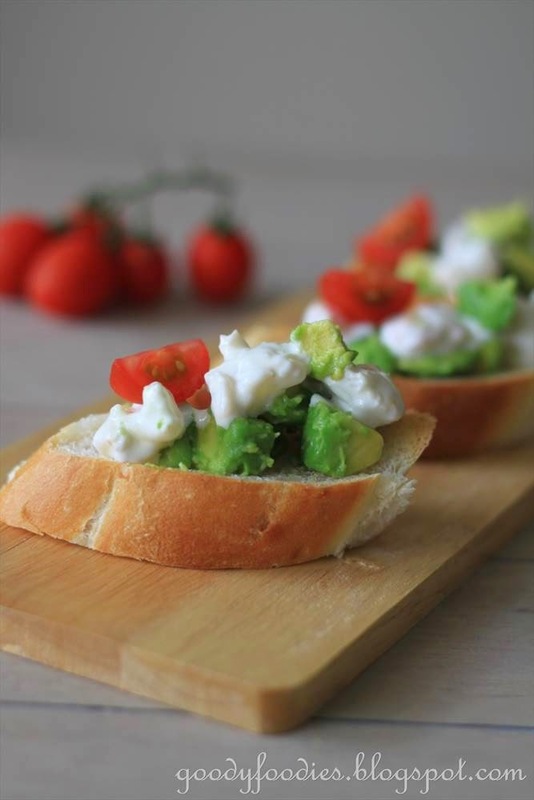 Twist the avocado halves in opposite direction and it will come apart easily into 2 halves. Sink the knife into the avocado seed and remove. Peel off skin. Squeeze calamansi lime juice all over to avoid discoloration. Chop the avocado into bite-sized chunks. Season with salt. 4. Arrange bread slices on a baking tray and place under hot grill for about 1-2 minutes, until lightly toasted. 5. To serve, top each piece of bread with avocado, followed by the slipper lobster. Garnish with cherry tomatoes. Serve immediately. You can also top with ebikko (optional). Note: Original recipe uses crayfish and rustic white bread and served as toasties. 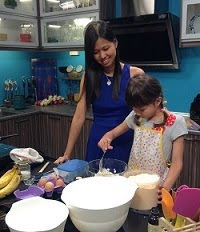 * I am submitting this to the "Cook Like Gordon Ramsay" event which I am co-hosting with Zoe of Bake for Happy Kids and Mich of Piece of Cake. 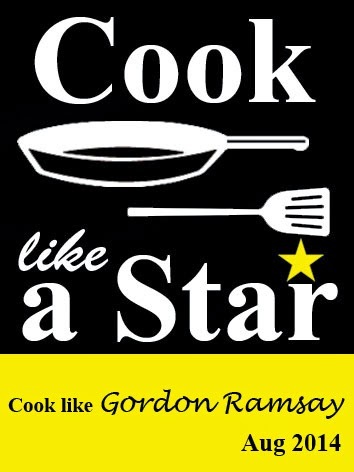 To join, simply cook or bake any recipe from any Gordon Ramsay websites or cookbooks for the whole month of August 2014. You can link your posts at one of the host's pages. Your post must be a current post i.e. 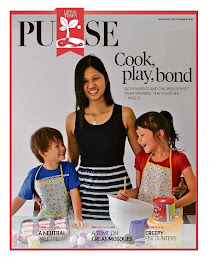 posted in August 2014 - please do not link older posts.Please mention Cook like a Star in your post and link back to Zoe of Bake for Happy Kids, Mich of Piece of Cake and Baby Sumo of Eat your heart out. 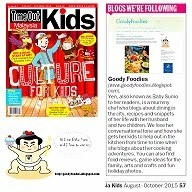 * I am also submitting this post to "Cook-Your-Books #15" hosted by Joyce. this recipe is must try, but eversince slipper lobster isn't that easy to find where i lives, i guess i'm gonna prawn for this recipe! I like the combination of your toast with variety colours! Thumbs Up! 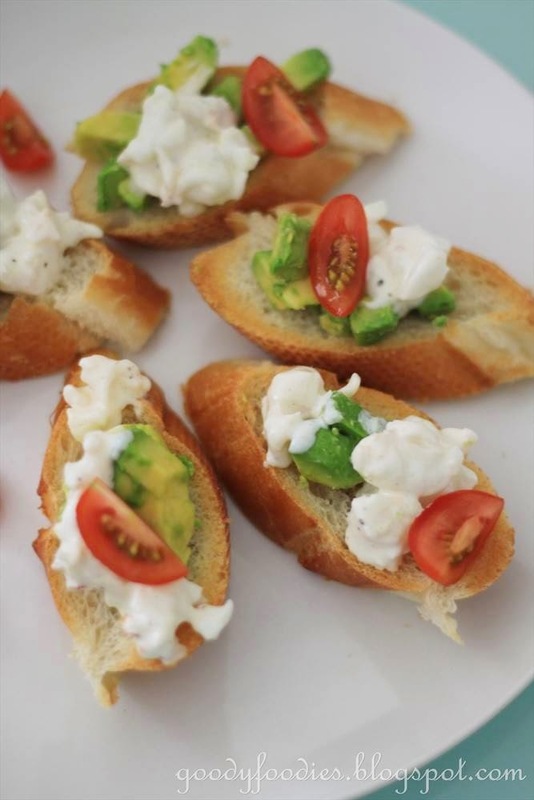 These are great appetizer or served as light meals ... I will try with prawns. Thanks for the sharing! Yen, these make for very yummy munchies! Nice and simple! Yes, I like simple and delicious meal like this! The lobster is a treat! Yums! Anything lobster is nice ! Yummy ! Wow... lobster! These are the extreme kind of luxurious finger food. 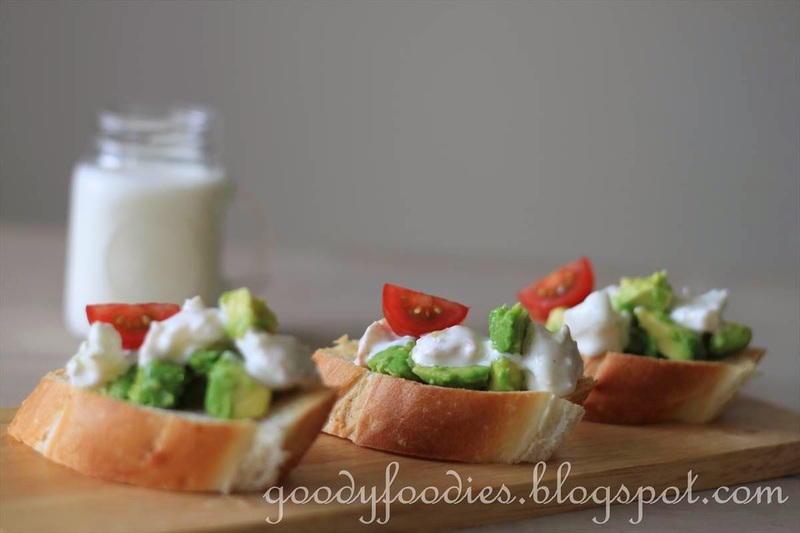 I love avocadoes and these look so good with the slipper lobsters!